"I'm going to help her," I said, gathering myself to rise. "You are not," Cathy told me. "You are not moving at all. You're no doctor. You're no nurse. You're fodder." One particularly stormy night, Roe wakes to hear her daughter crying and Virginia nowhere to be found. Roe's brother Philip helps her search the house and they happen upon a body outside… but it isn’t Virginia’s. Now, not only does she have a newborn to care for and a vulnerable new marriage to nurture, Roe also has to contend with a new puzzle -- who is this mystery woman dead in their backyard, and what happened to Virginia? This heart-pounding and exciting next installment of the Aurora Teagarden series will leave fans happy and hungry for more. I have never read Charlene Harris but hope to take a look sometime. I have never read her books, but my son loved them. Thanks for sharing and for coming by my bog. 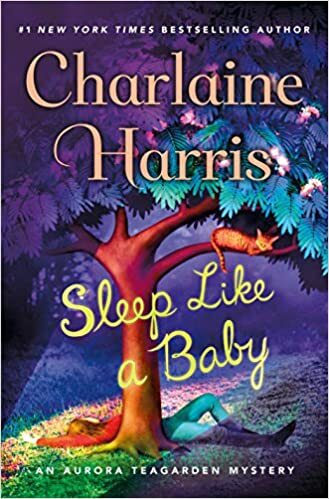 I only ever associate Charlaine with the 'Sookie Stackhouse' series, which doesn't appeal to me at all. It's a real shame that I have discovered the 'Aurora Teagarden' series just a bit too late I think, as I can't possibly see myself catching up to book 10 anytime soon! It's been awhile since I've read any of Charlaine Harris' books. I need to check this series out! I've fallen behind in the Aurora Teagarden series. I must catch up soon!! I have the first book in this series on my bookshelf. I forgot about it. Now I think I'll pull it down and try this series. I just love the covers for these books. Two people reading Charlaine Harris this week! :) I've only read the vampire novels so far. You definitely captured my attention! :-) Happy weekend! So she's a rhinoceros and fodder? Is she fat or pregnant? Sounds like a book which doesn't take itself too seriously.